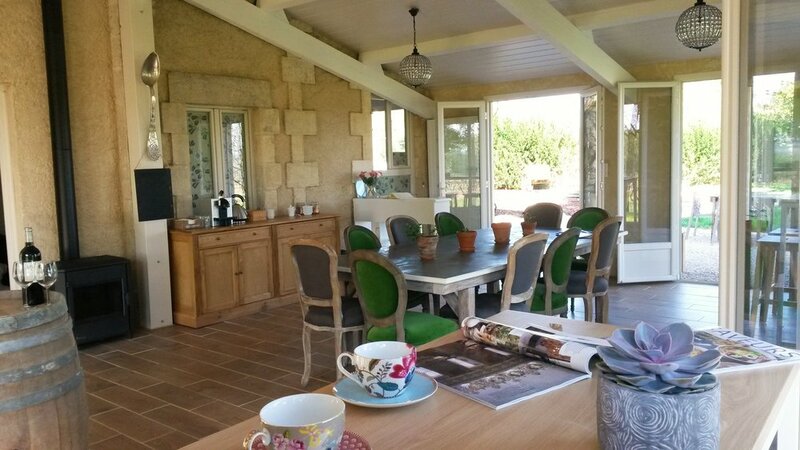 If you're looking for the perfect escape, to experience real life among the Bordeaux vines, and have your own house to relax and unwind look no further! 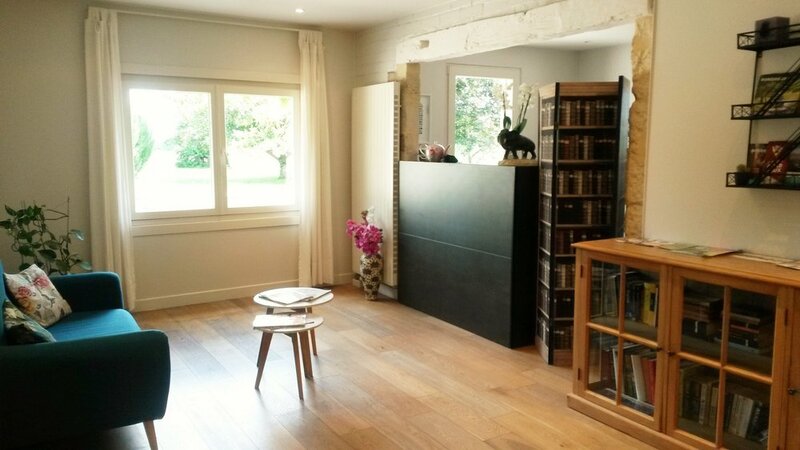 Starting from September 2018 we will be offering guests the opportunity to get a real taste of Bordeaux living by renting the whole house at L'Autre Vie. 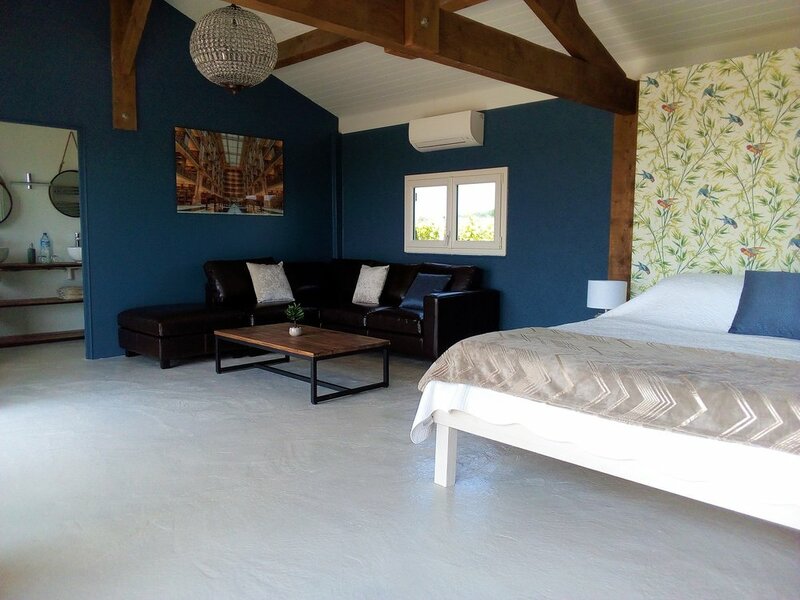 From small groups of 4 up to 14 people, you will have all the space you need between comfortable lounge areas, the vast dining room overlooking the vines, and the heart of the house in the kitchen to cook up delicious local produce! Even if it's just for a short stay (4 night minimum), get together with close friends or family and escape to the vines. Pricing will be tailored according to the group size, but as a guide for a group of 6 people the nightly rate would be 50 euros per person per night. We will also arm you with our inside tips on the area, vineyard tour and tasting suggestions, as well as restaurants, markets and anything else that you need to know. If you'd like a welcome pack of goodies on arrival that can also be arranged, with some essentials for your first night. For further details, scroll down below the images, and don't hesitate to get in touch via email at contact@autre-vie.com. Each of the five bedrooms has a king sized bed (180x200), flat screen TV, DVD player, private en-suite bathroom, and wi-fi all throughout the house. 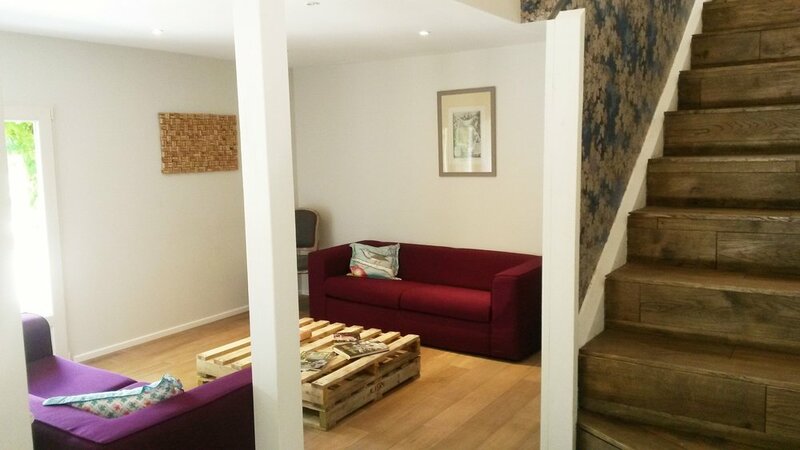 You will also be able to lounge around 3 separate living areas, and take control of the spacious open plan kitchen with all that you require to cook up a delicious feast from locally sourced produce. The house has central gas heating, as well as two combustion fireplaces, and reverse cycle air-conditioning in every bedroom. 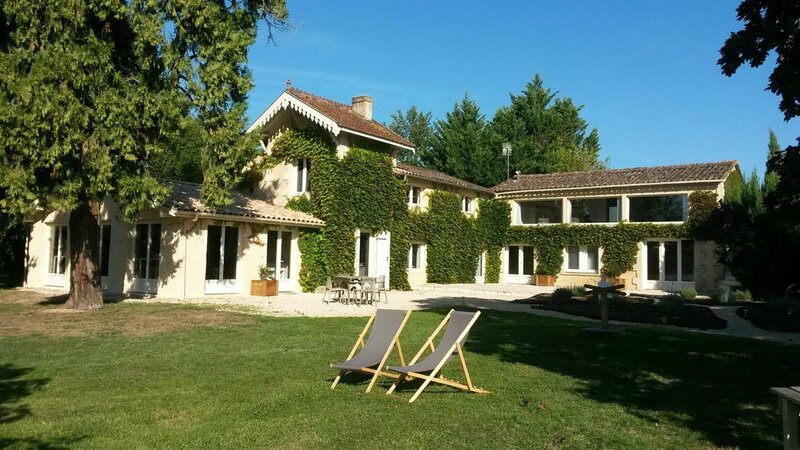 Stroll around the grounds, meander through the surrounding vineyards, make the most of some of the local events, or visit some of the beautiful châteaux of Bordeaux. For more information don't hesitate to get in touch with us via email contact@autre-vie.com or over the phone +33 (0) 6 46 44 79 41, and we look forward to opening up L'Autre Vie just for you.